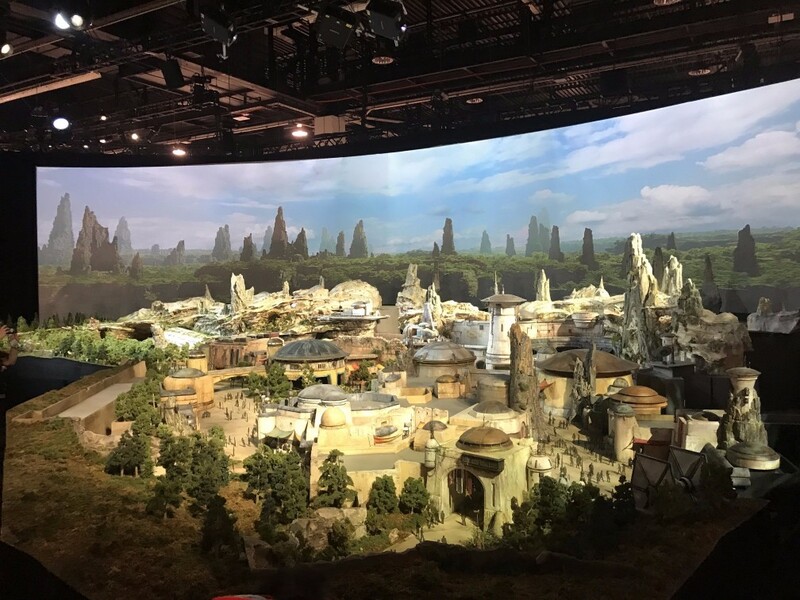 Star Wars might take place “in a galaxy far, far away,” but at least some of it is going to come a bit closer to home – in spectacular fashion. 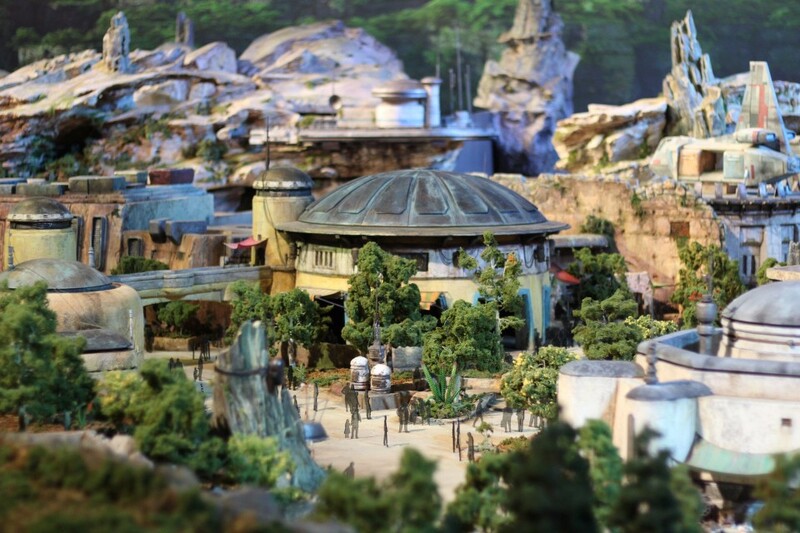 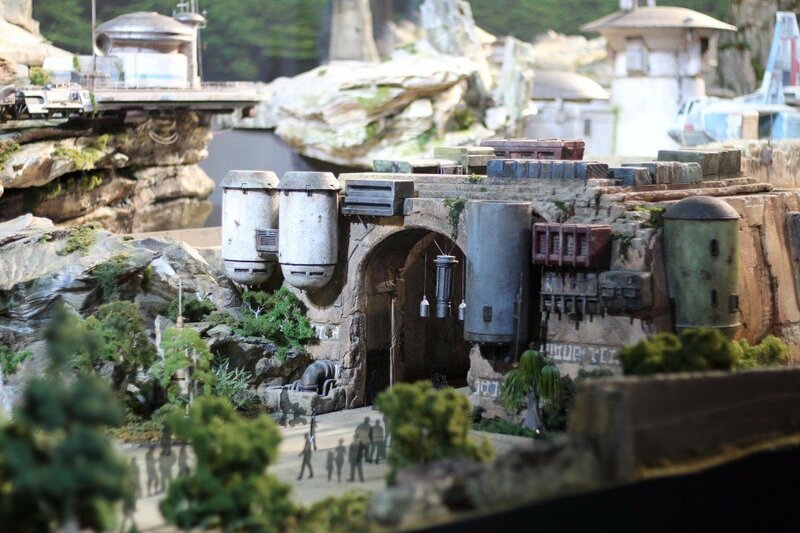 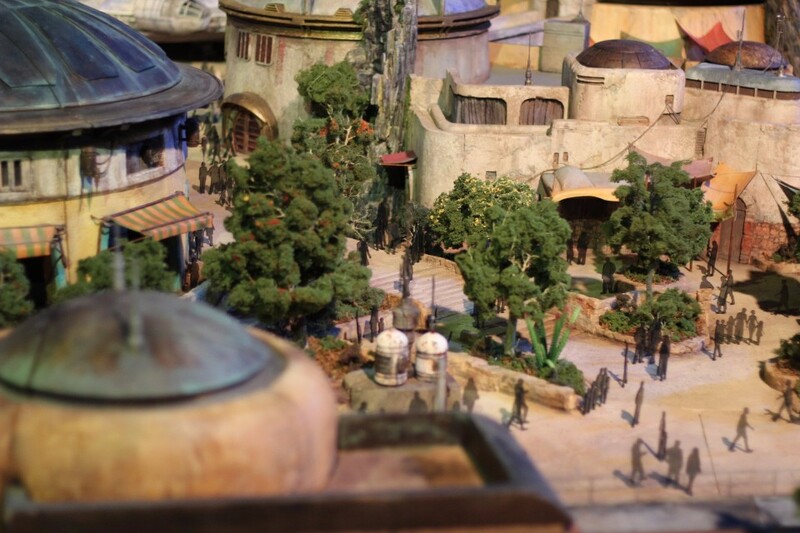 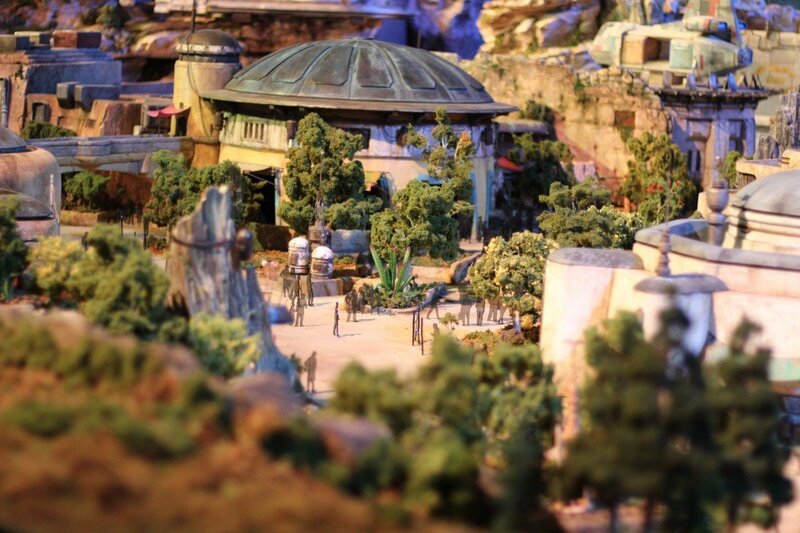 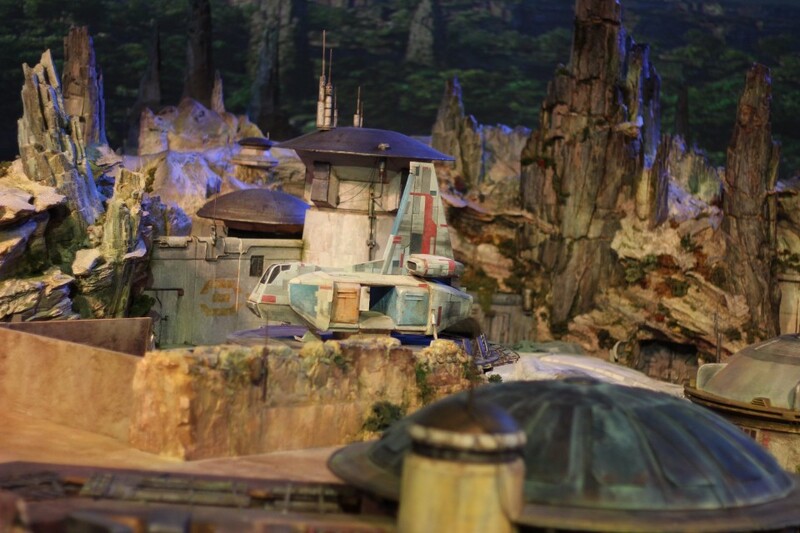 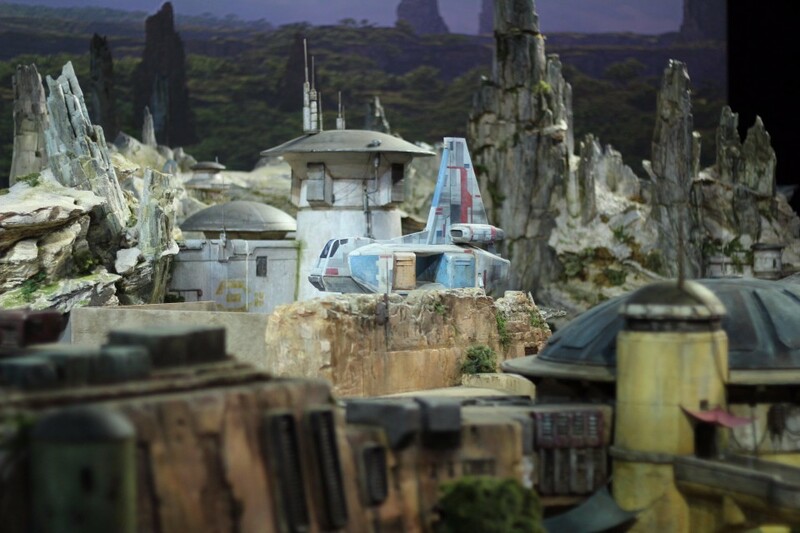 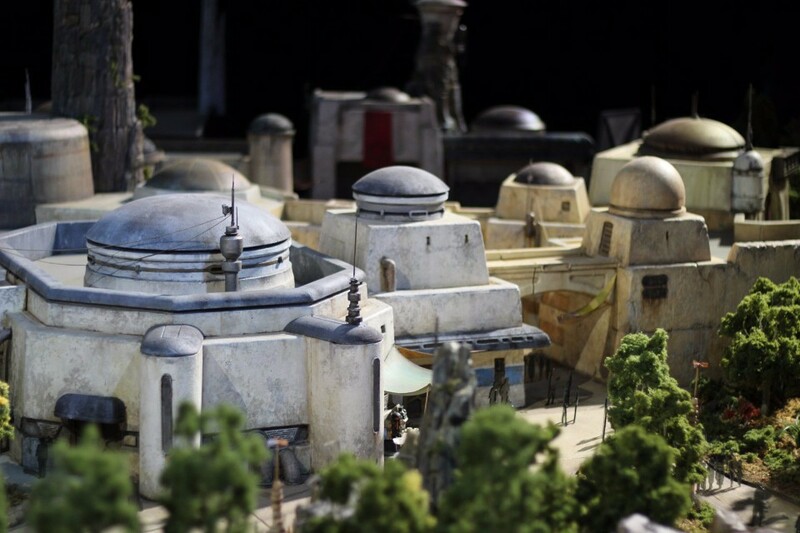 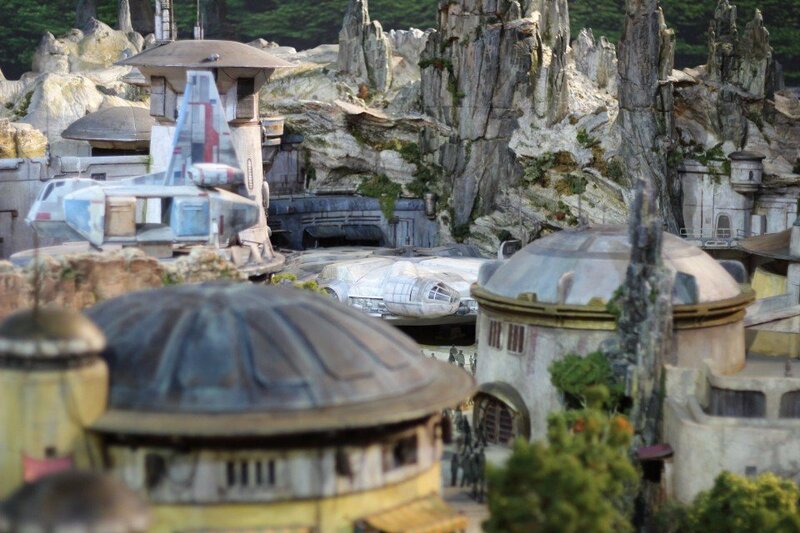 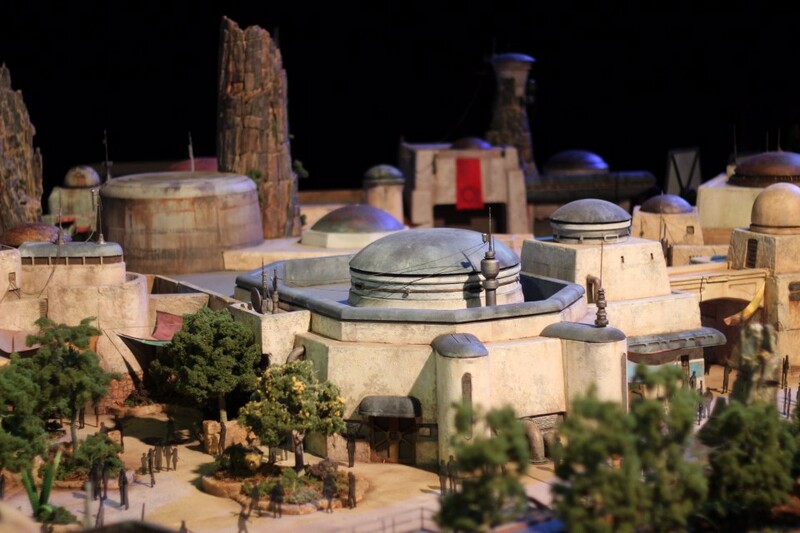 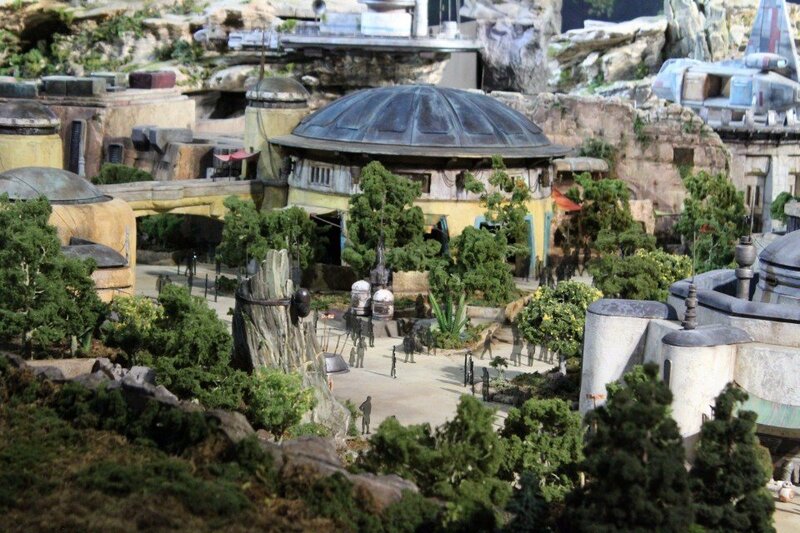 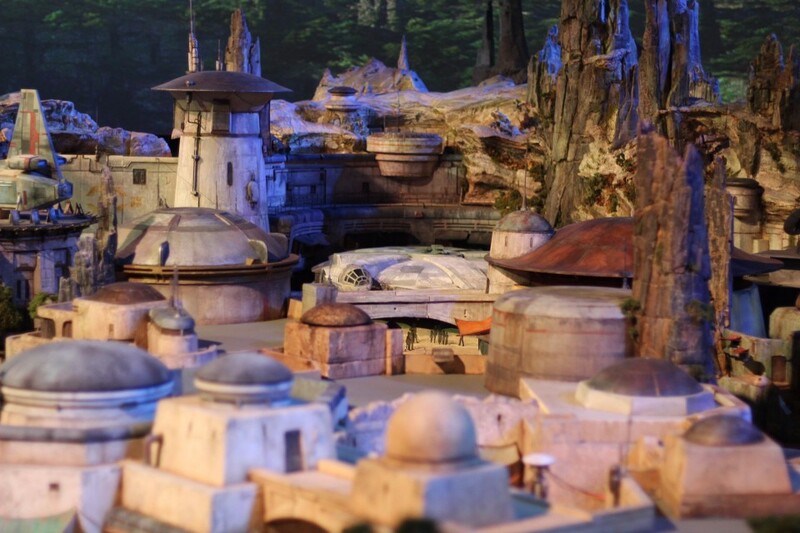 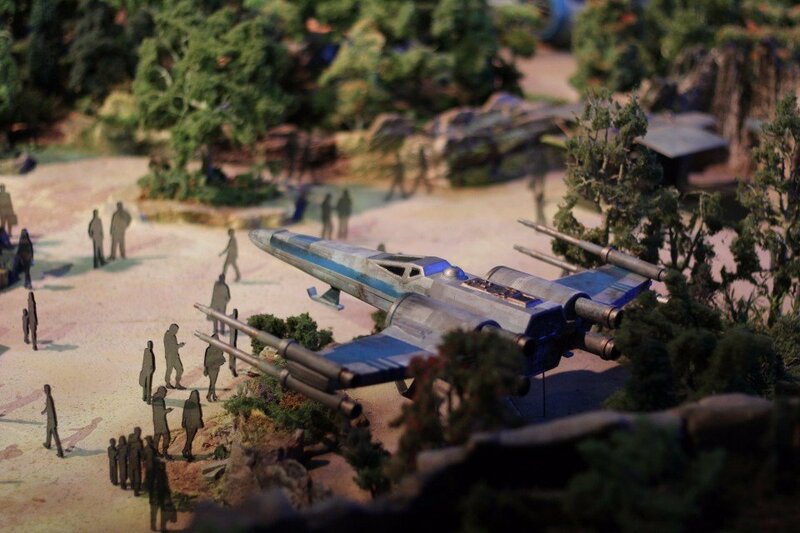 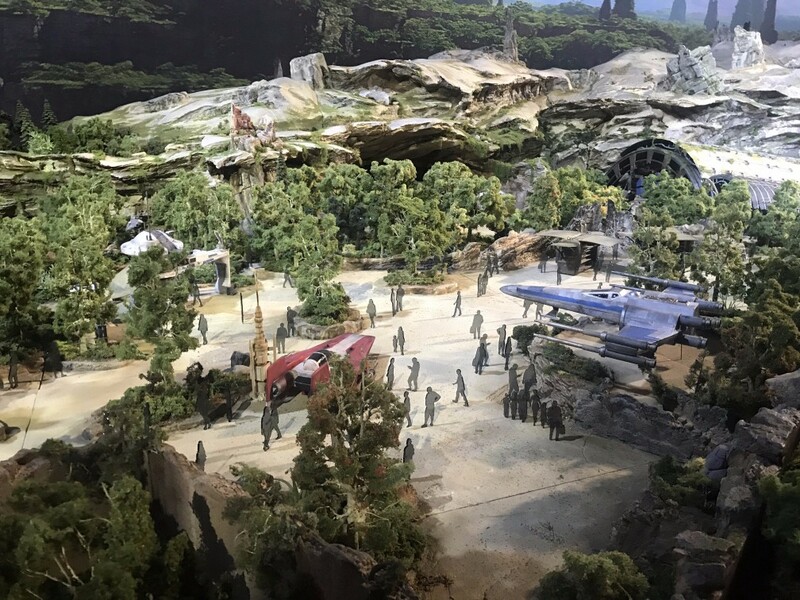 We’ve known that Disney is developing a Star Wars-themed ‘land’ for their flagship parks in California and Florida for some time now and fans have feverishly imagined what it might contain. 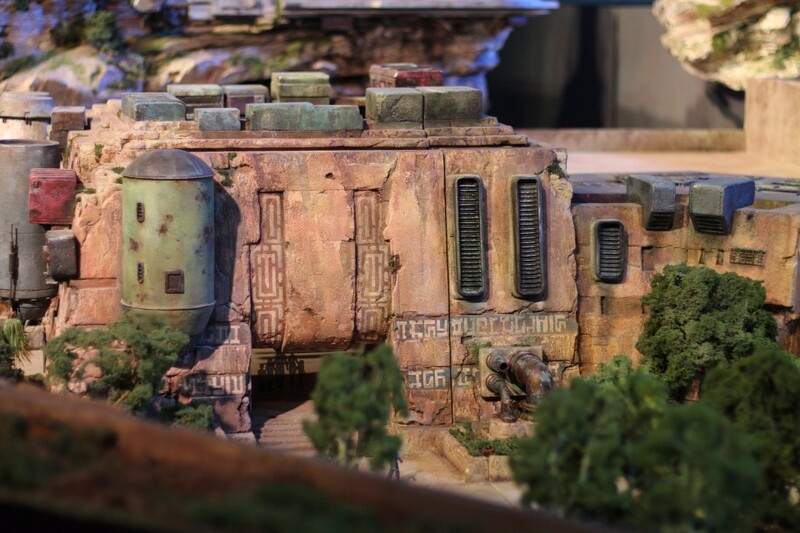 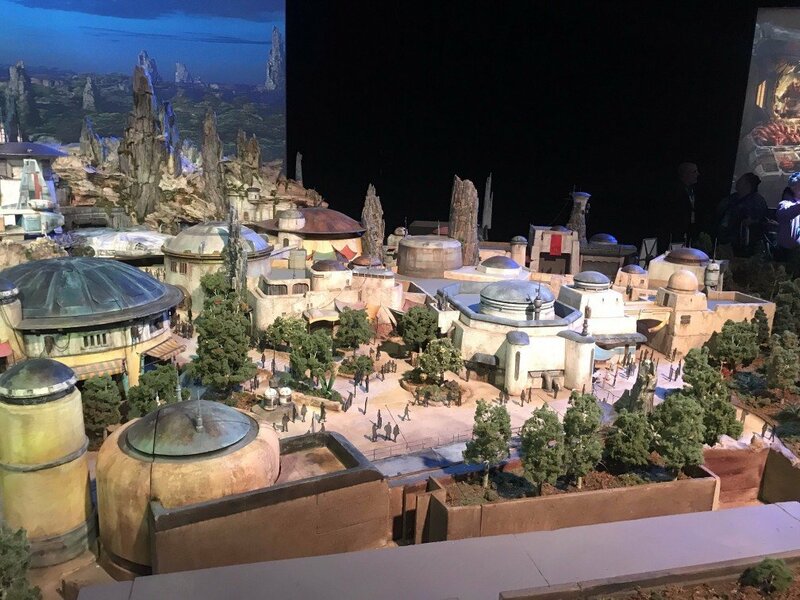 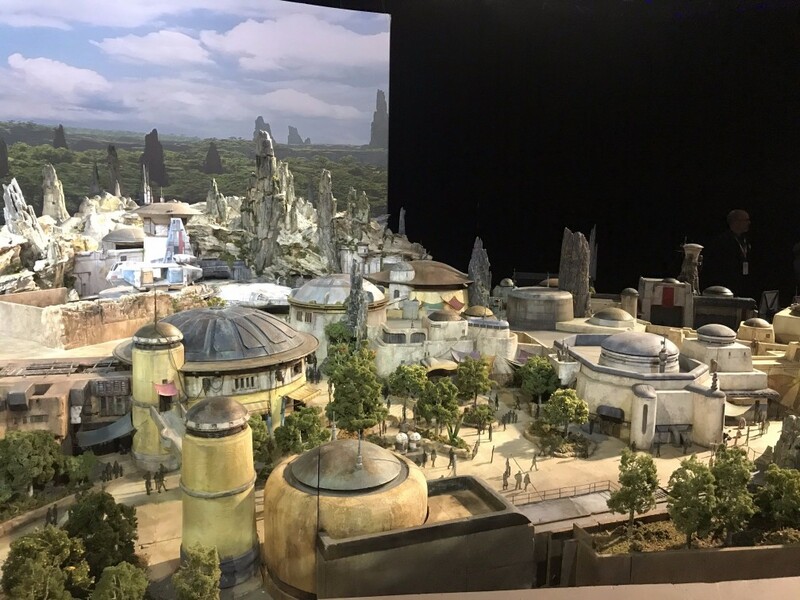 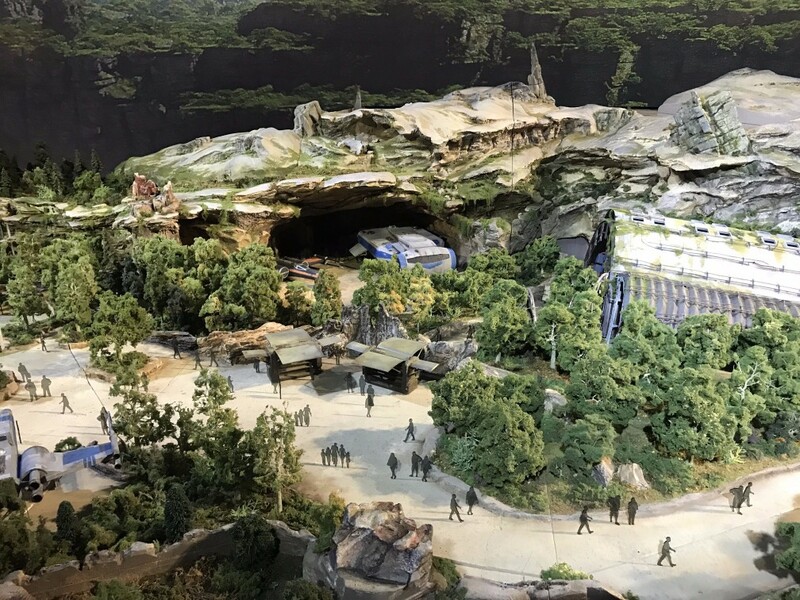 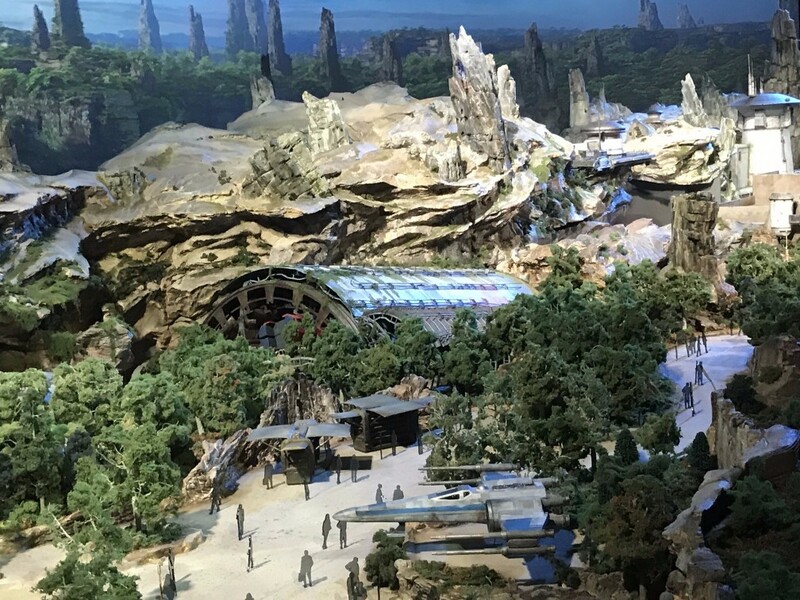 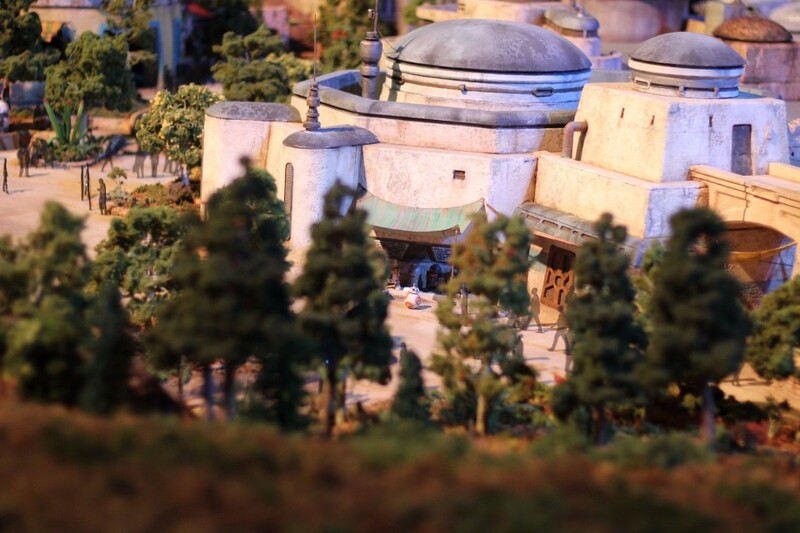 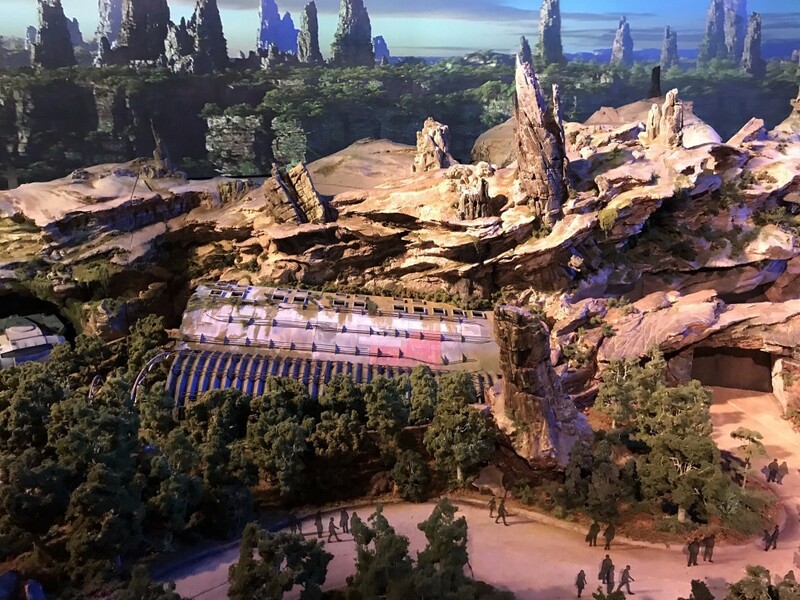 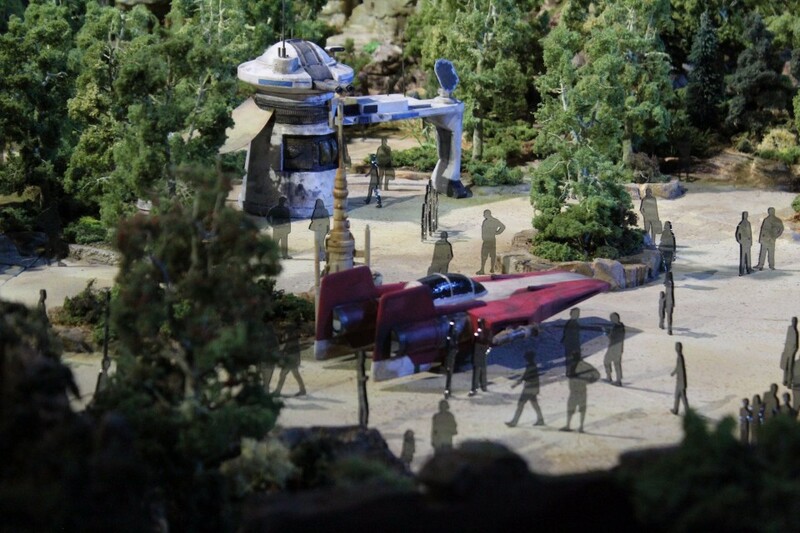 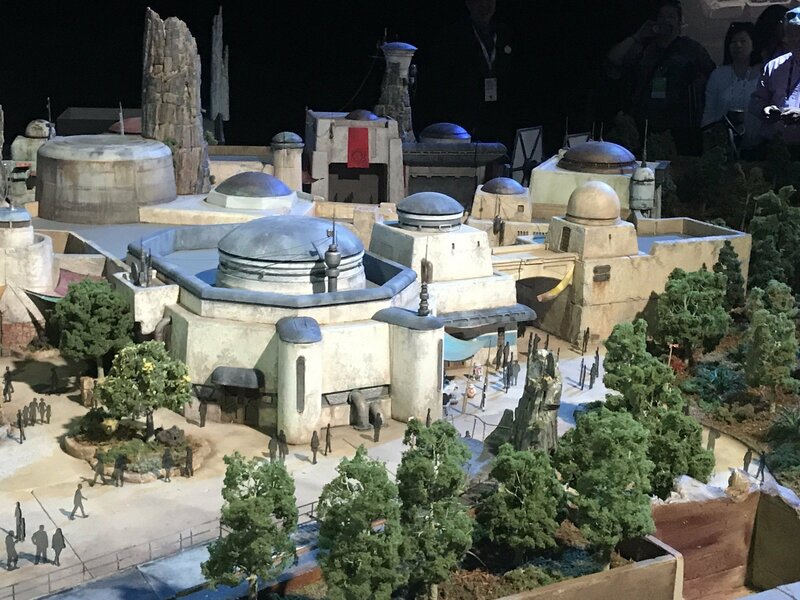 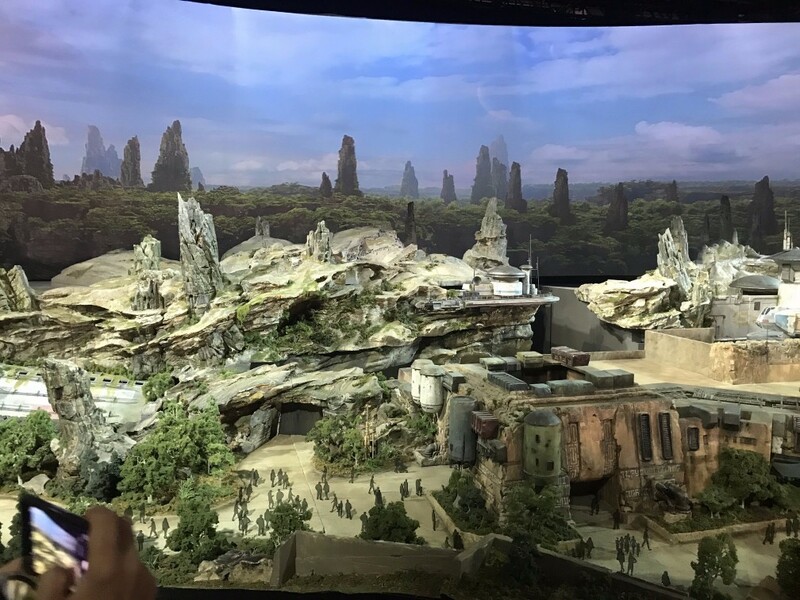 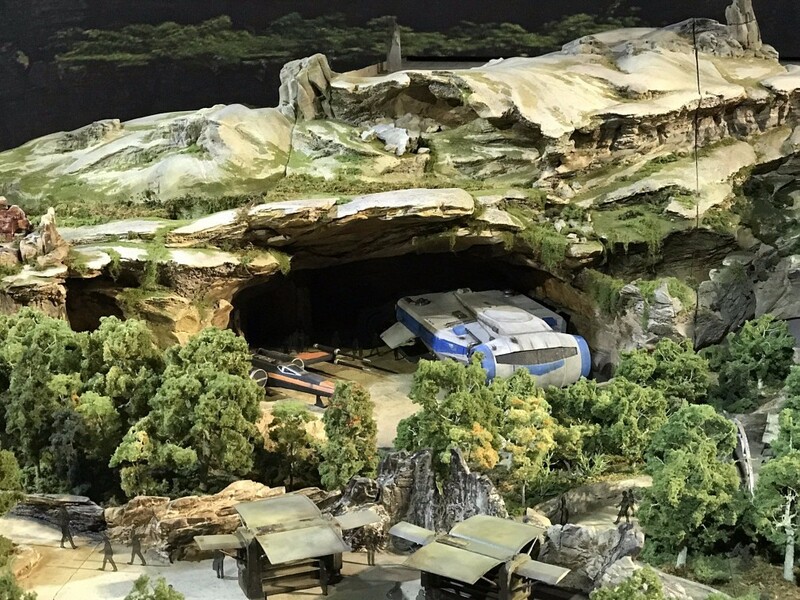 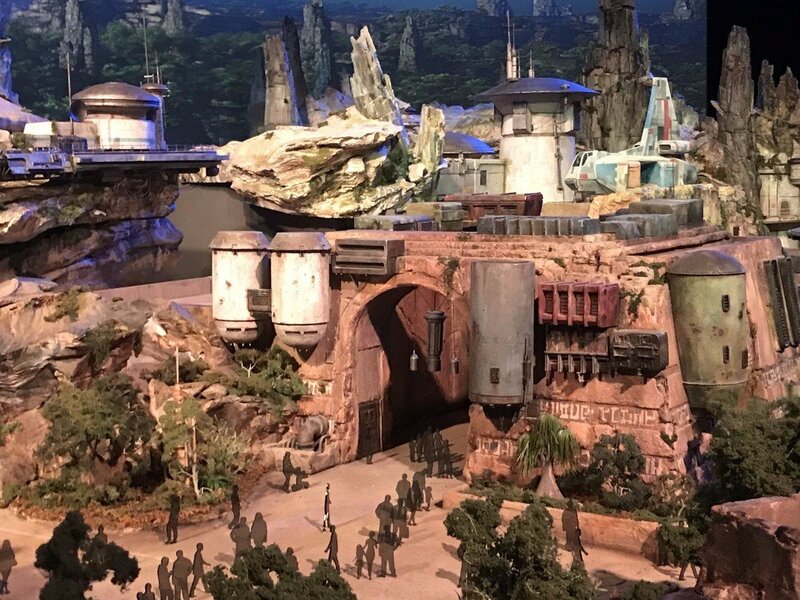 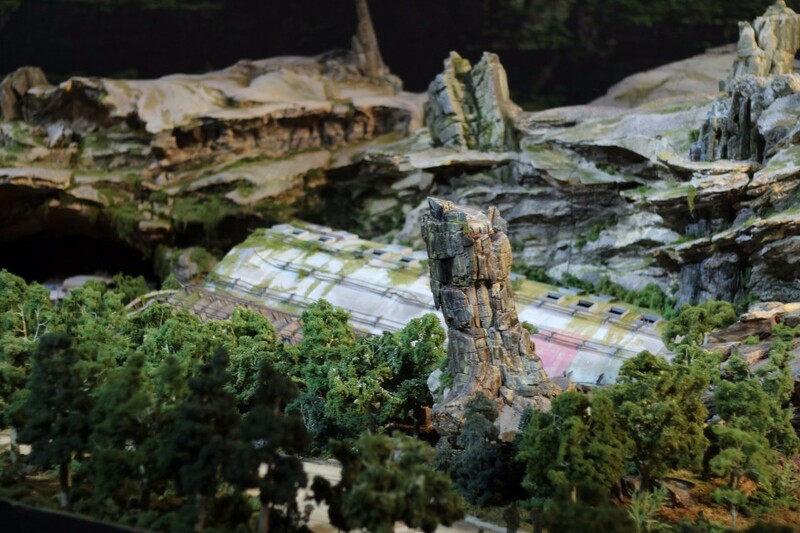 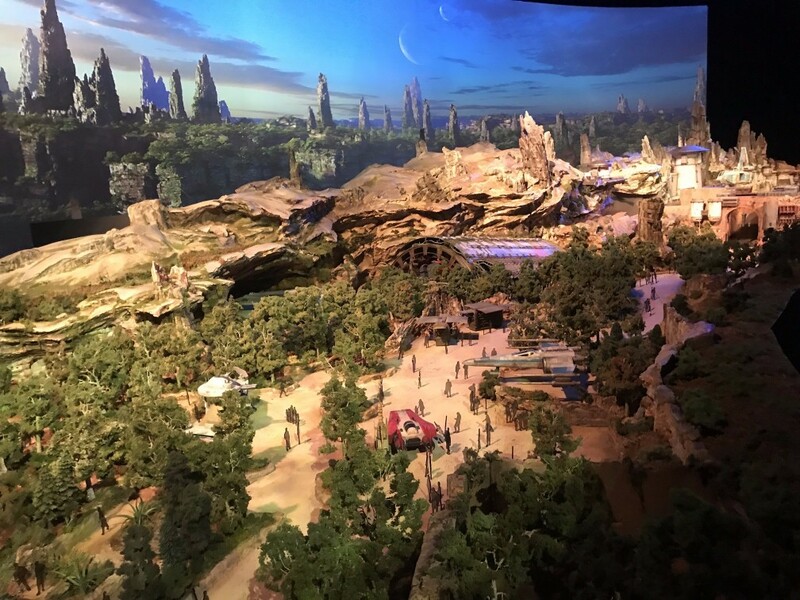 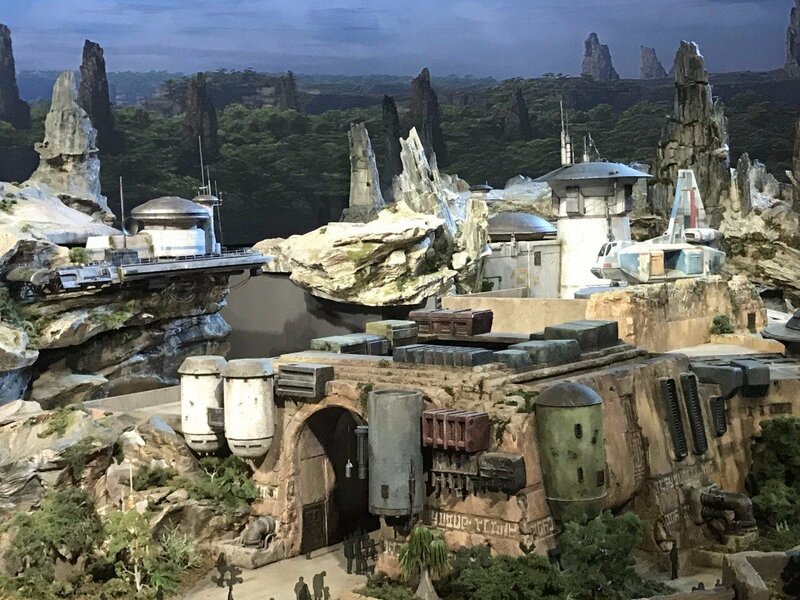 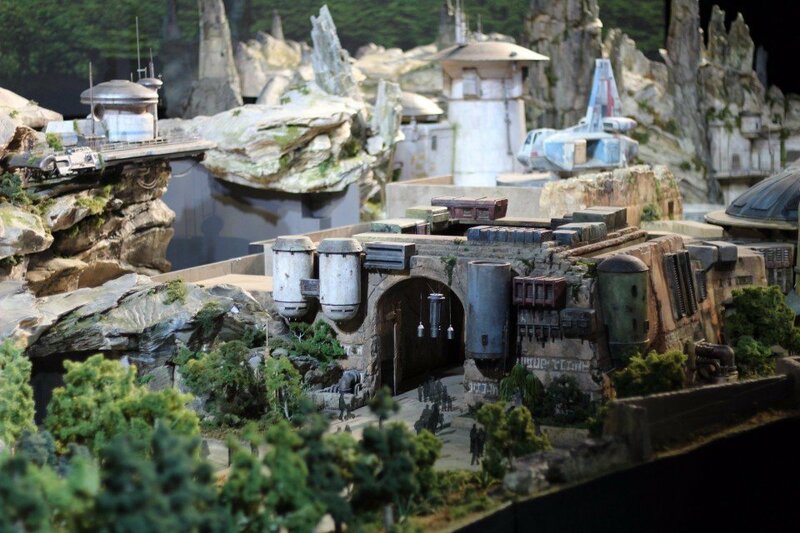 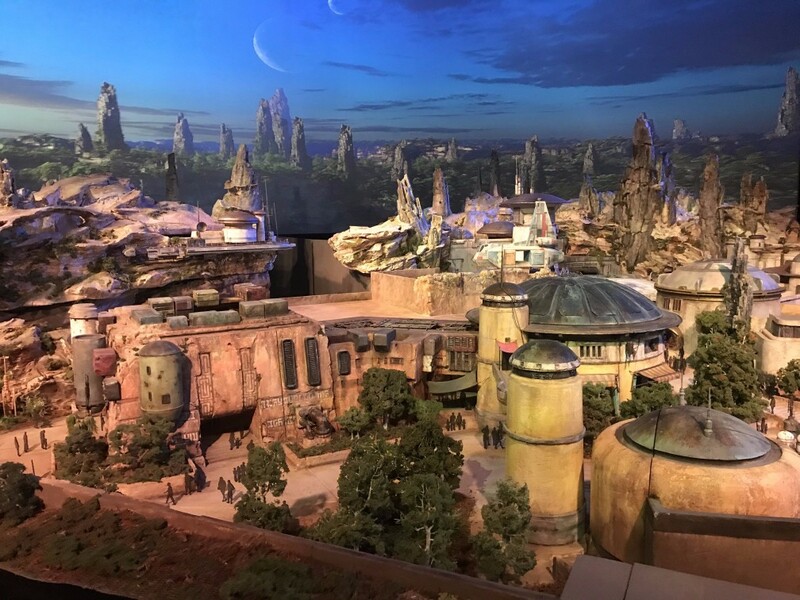 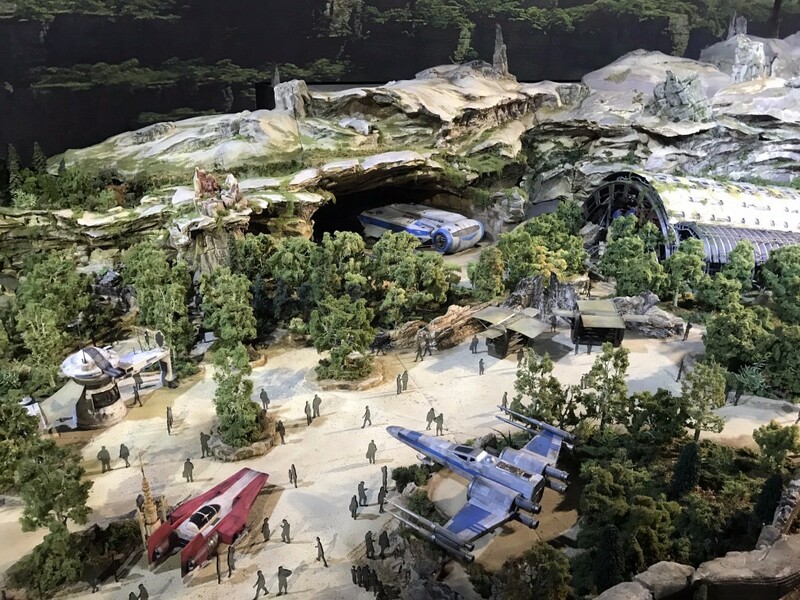 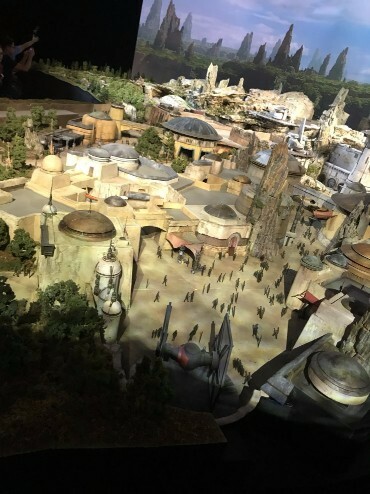 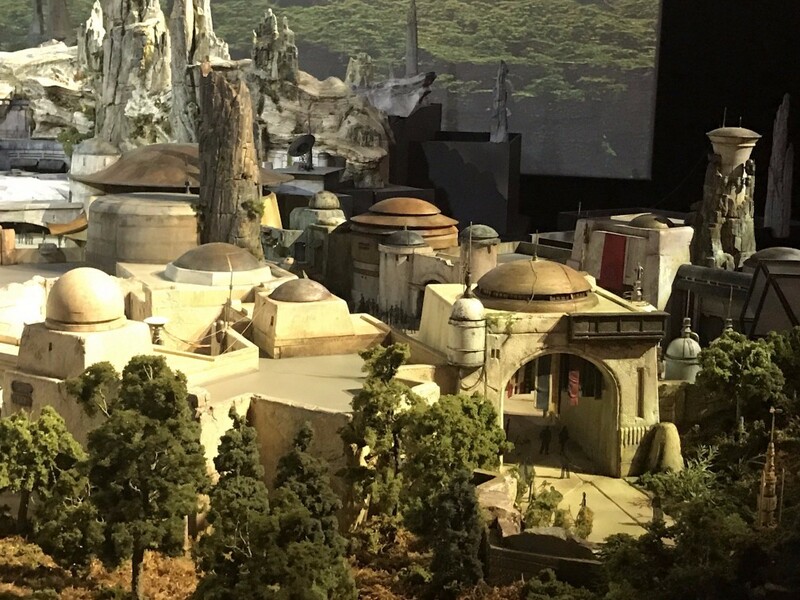 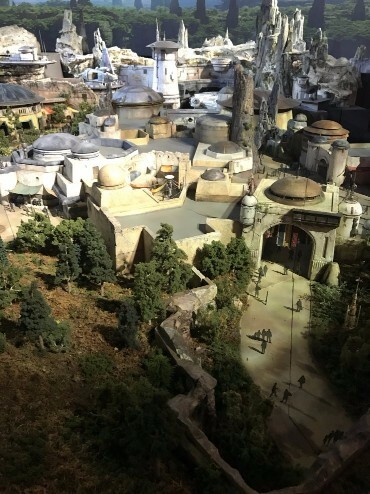 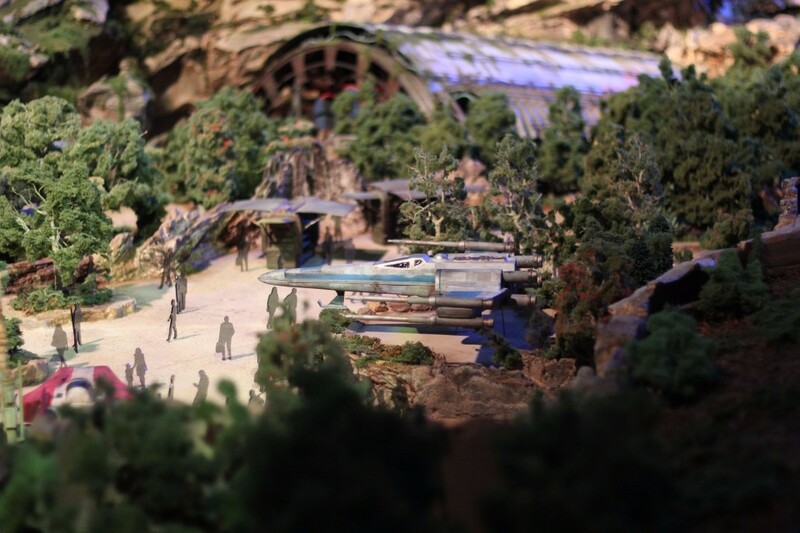 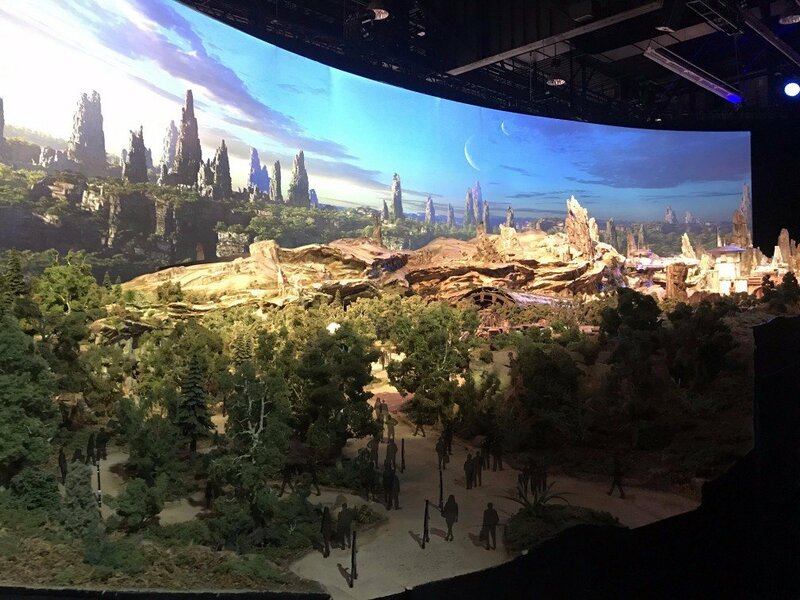 Well, you can quit imagining now, as earlier today at the D23 convention, which is taking place over the next few days, they unveiled a scale model of the park and it’s safe to say it lives up to (and exceeds) expectations. 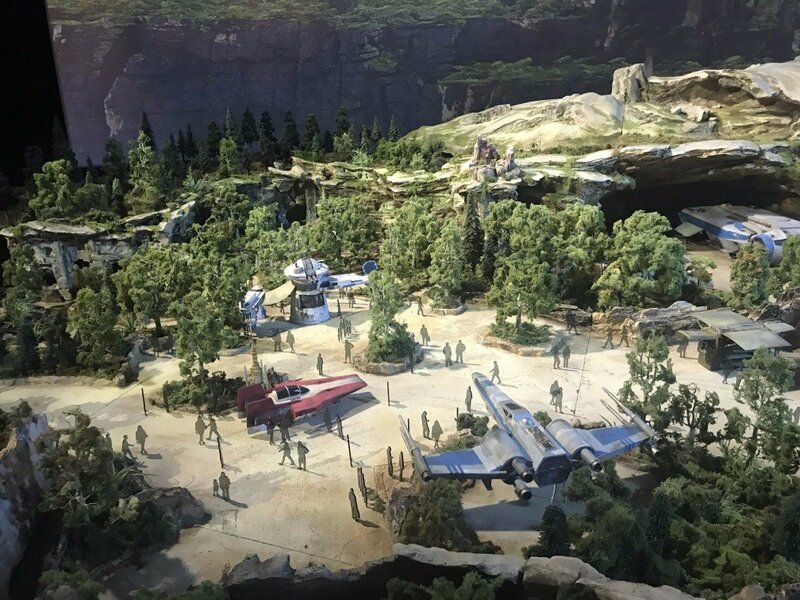 The 14-acre park will transport guests to an entirely new planet in the Star Wars universe, set within the timeline of the current trilogy. 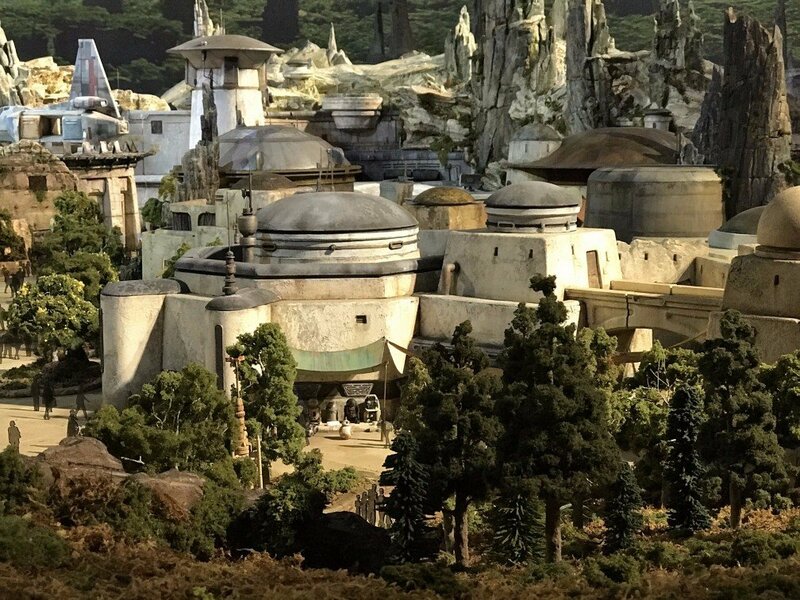 The as yet unnamed world is billed as “one of the last stops before Wild Space” and, from the looks of the model, seems to possess the seediness and danger of Tatooine’s Mos Eisley, the lush forests of Endor and something of the neo-Renaissance architecture of Naboo. 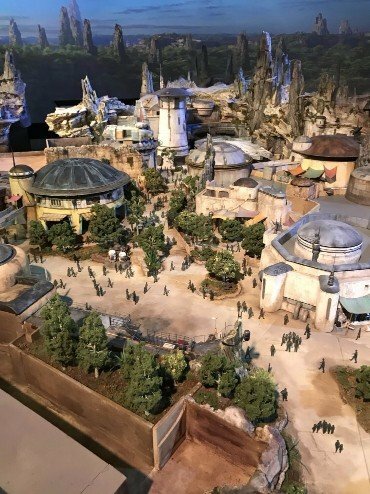 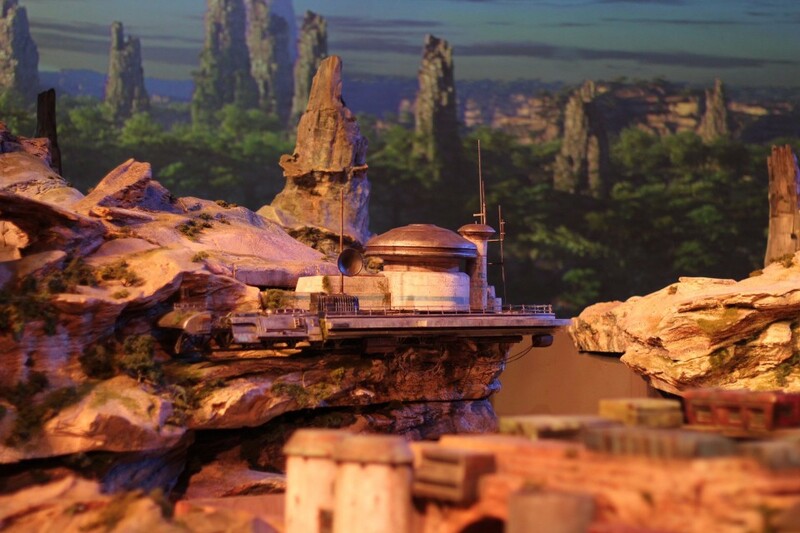 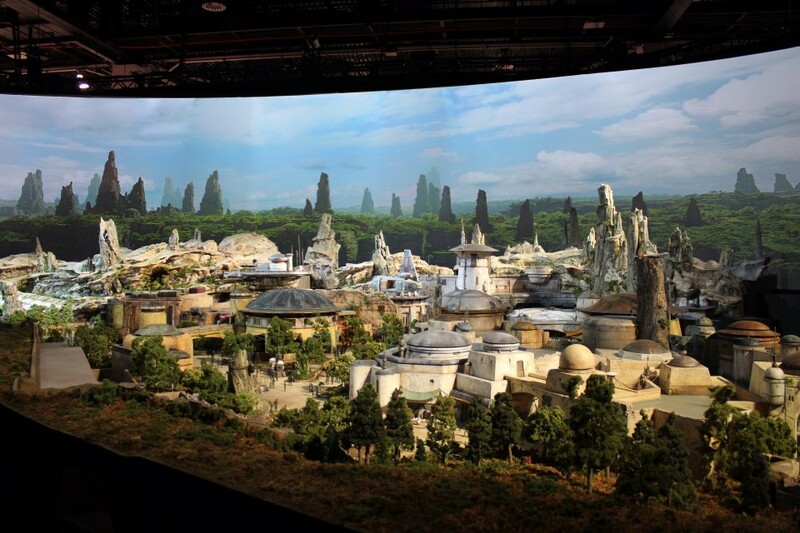 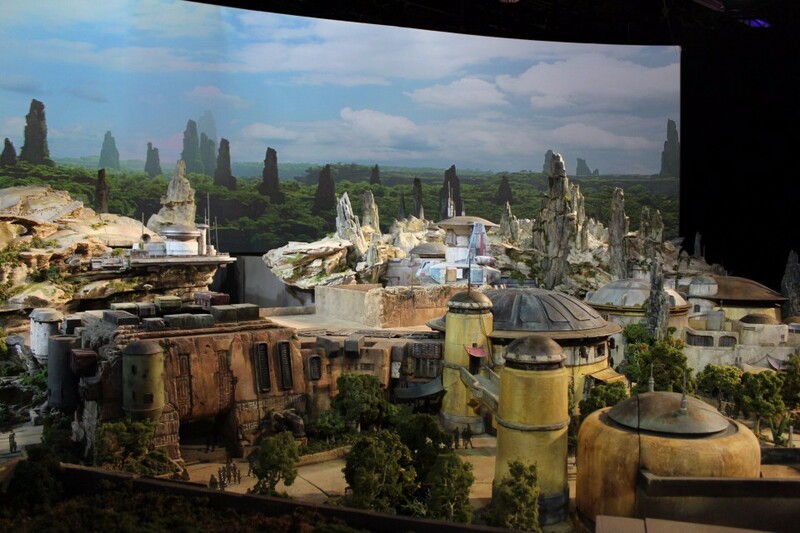 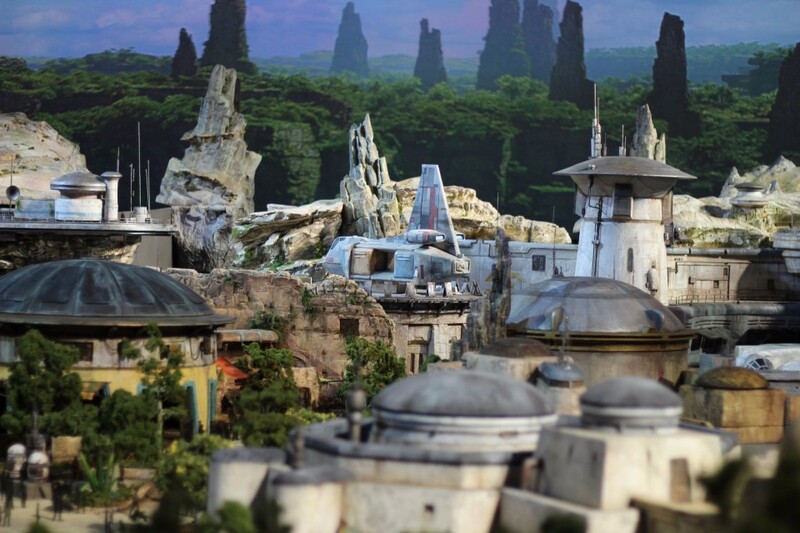 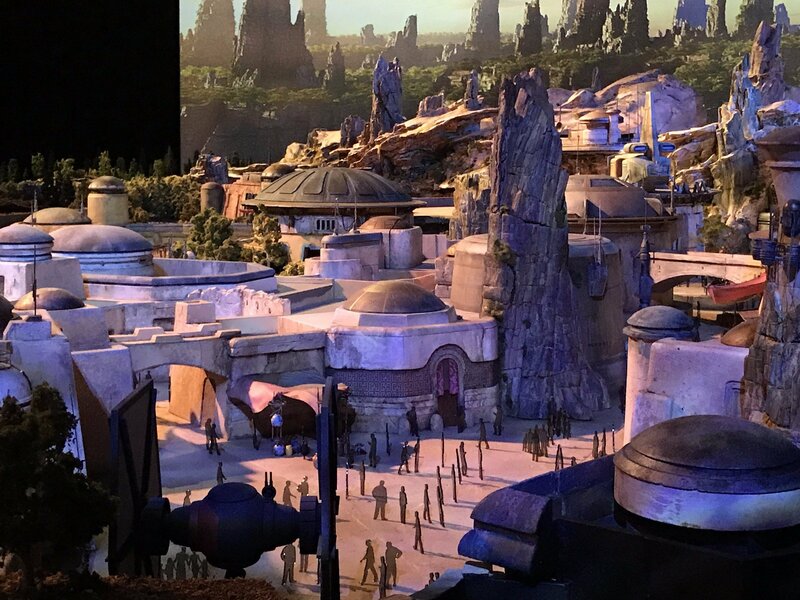 Bob Capek, chairman of Disney’s parks division, described the project as “the most ambitious land we’ve built to date” and with an estimated construction cost of $1 billion each, you can probably expect them to live up to their claim of offering “total immersion” in George Lucas’ universe. 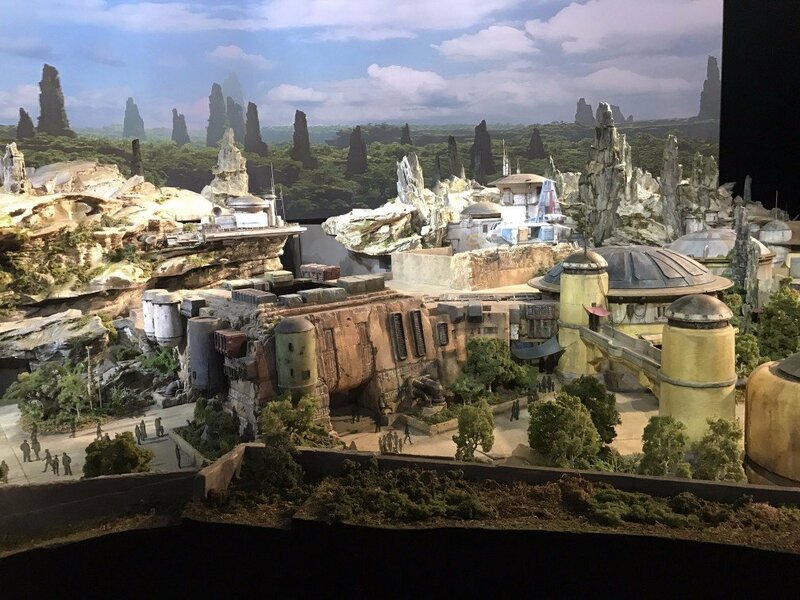 Star Wars Land is due to open in 2019 at both Disneyland and Walt Disney World.